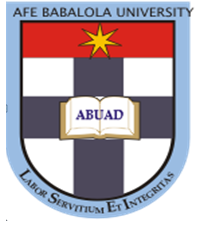 Afe Babalola University, Ado-Ekiti (ABUAD) Undergraduates Fresh [100level] and Returning Students [200level - 500level] School Fees/Tuition, Clinical Students Fees, Hostel Accommodation Type and Fees Schedule for 2018/2019 Academic Session in PDF. Authorities of the Afe Babalola University, Ado-Ekiti (ABUAD) has published the fees/tuition for fresh and returning students of the institution for the 2018/2019 academic session. Kindly click on the link below to view the 2018/2019 academic session approved schedule of school Tuition, type and cost of hostel accommodation. That it is compulsory for Fresh PRE-MBBS and Law students to stay in a room with 2 beds. That there are so many candiates seeking admission into PRE-MBBS and Law thereby making all the school fees to be paid at once otherwise provisional addmission will be cancelled. that DIRECT ENTRY and INTER-UNIVERSITY TRANSFER STUDENTS are to pay the same amount with the FRESH UNDERGRADUATES.